Put whiting fish with skin into a pot, add enough water to cover, and bring to a boil. Simmer for about 10 to 15 minutes. With a slotted spoon remove each filet, place onto a plate, and remove the skin with a fork, immediately. 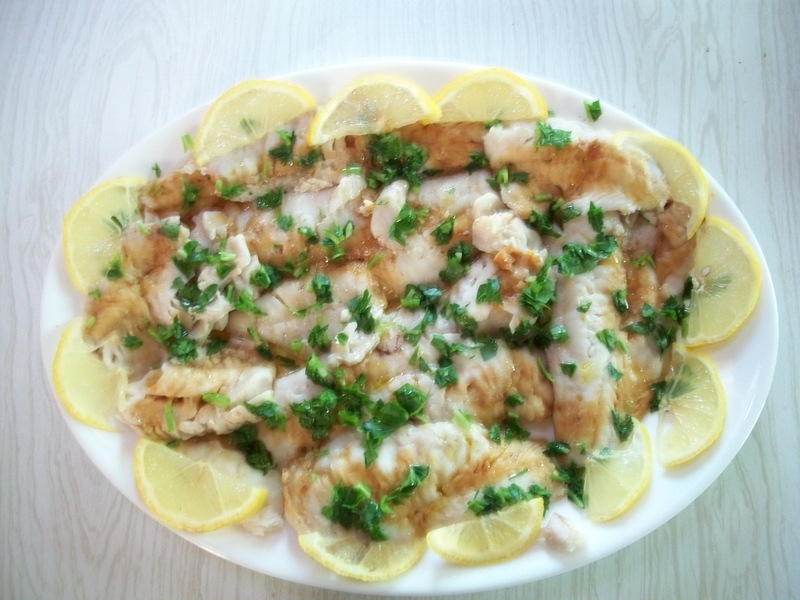 (It is much easier to remove the skin while still hot and moist) Place all of the fish onto a serving dish. Squeeze lemon juice over it. Add Tamari soy sauce and olive oil. Garnish with lemon slices and parsley. Serve, warm or cold.